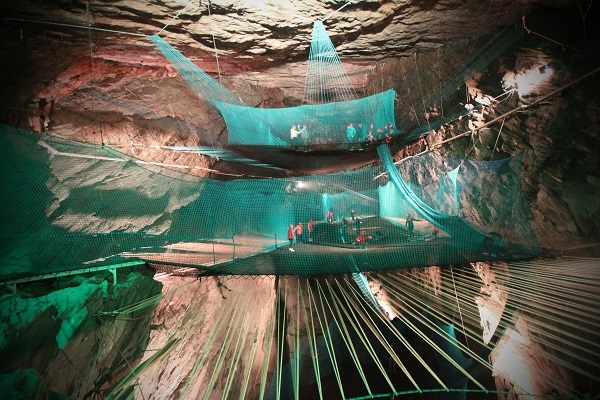 Visitors enjoy the thrill of Bounce Below, an adventure park located in North Wales. Photo Credit: Bounce Below. 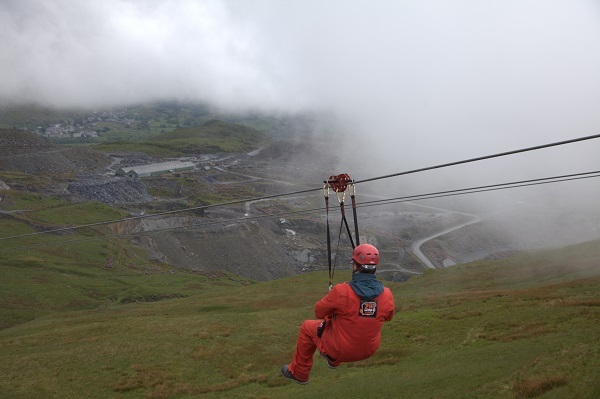 A visitor goes down one of the zip lines at Zip World. Photo Credit: Zip World. 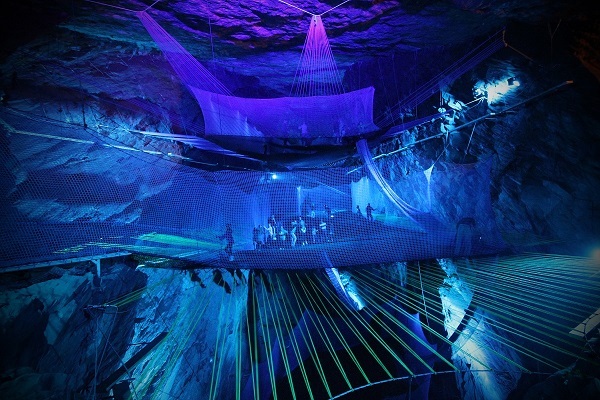 Created by the same people who brought you Zip World, which promises to be “an experience of a lifetime” (with one of its rides going at the speed of 100mph whilst you’re 500 feet in the air), Bounce Below is a continuation of a fast-growing adventure park — a thrill seeker and nature lover’s spin on Disney World. According to Laura Jones, a business developer at the company, this new addition makes for a dream destination for anyone who craves that adrenaline rush that comes with trying something new and slightly out of the norm. 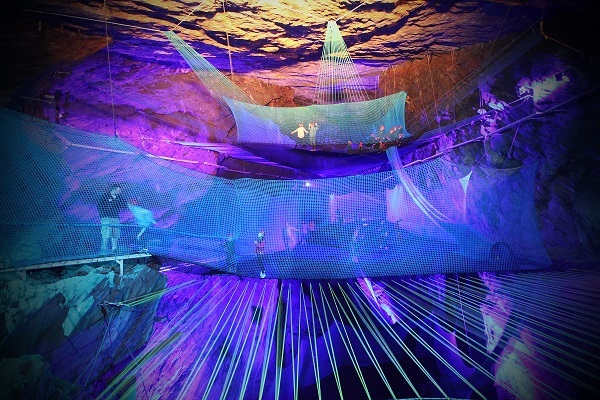 “We’ve got the world’s longest and fastest zip wire, the world’s biggest zip zone, and now the world’s only underground giant trampoline. I think it’s fair to say we are fast becoming the most fun place on earth. Zip World directors saw a netted structure at a park in a forest in France. They decided to create a year-round adventure park in North Wales and offer something that you cannot do anywhere else in the world,” she says. 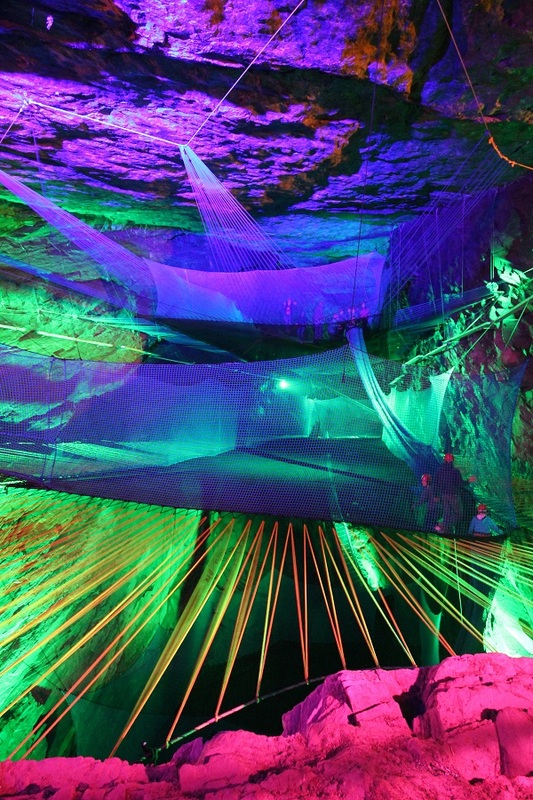 An inside look at Bounce Below, an adventure park located in North Wales. Photo Credit: Bounce Below. Laura also emphasizes that this isn’t only an attraction for those who desire to push their limits, but that this type of exhilarating stimulation is for “everyone! It’s an experience that kids and adults can enjoy together; this is suited to all people, no matter what their interests.” Although, we do think that people who experience claustrophobia, epilepsy, vertigo or have a heart condition might want to steer clear of this below-the-ground fun palace. Of course, safety precautions are taken by the staff, and visitors are given a mandatory safety helmet and a cotton-overall before being escorted to the remarkable 200 x 600 foot cave via an old mining train, which starts off the entertainment. Additionally, anyone wishing to bounce around needs to keep a few restrictions in mind, such as their weight (120 kilograms, roughly 265 pounds, at maximum), age (the age minimum is 7), and wearing sensible clothing (save the heels, dresses and jewelry for a night out on the town!) in the 8-degree Celsius (46-degrees Fahrenheit) environment. Also, for those women or men who don long hair, a fashionable up-do is a requirement (think: ponytail, bun, or a braid) to avoid unnecessary accidents. 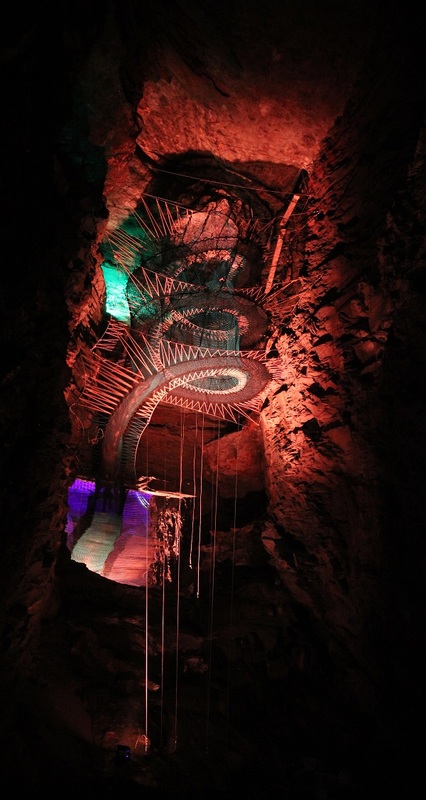 However, it’s a small price to pay to experience the magnificence of the subterranean escapade, and so none of these conditions should put a damper on the delight that awaits tourists and locals all year-round. And neither should the introductory fee of £15 per person (roughly $26). After all, where else can you jump around the Earth’s bowels? Bounce Below opened to the public on July 4, 2014. For more information or to book your tickets, please visit the official Web site or call 01248-601-444 and select option 2 to speak to a staff member.